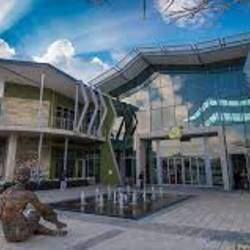 Named for its close proximity to the World Heritage Site, Cradlestone Mall is both an architectural masterpiece and, is optimally located at the intersection of the N14/R28 highways and Hendrik Potgieter and conveniently adjacent to the Pinehaven Interchange. Cradlestone Mall offers the perfect mix of 160 quality shops, restaurants and services- all in a fresh and vibrant atmosphere. 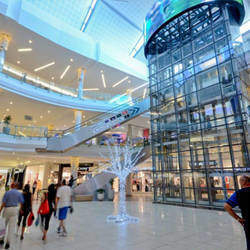 Shopper enjoyment and convenience are at the forefront of every visit to Cradlestone Mall, whether meeting friends for a meal, finding the perfect gifts for family, or buying that well deserved item. 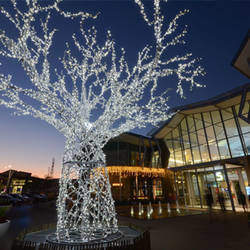 In addition to the nearly 4300 convenient parking bays, specialised facilities for the disabled and family parking, the Mall also makes use of the very latest energy saving technologies, reducing the Mall's carbon footprint and ensuring that Cradlestone Mall is an exceptional and unforgettable shopping experience.